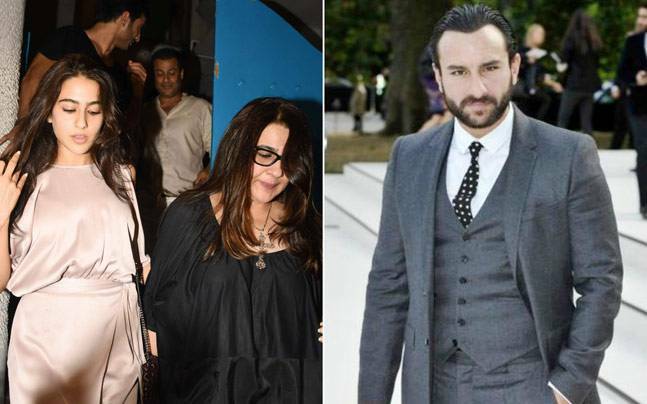 Saif Ali Khan's Emotional Message For Daughter Sara Ali Khan, "Feels Like My Film Is Releasing"
Yesterday, Saif was speaking at the trailer launch of “Kaalakaandi”. Kaalkaandi is produced by Cinestaan Film Company and Ashi Dua Sara of Unicorn. The film stars Saif along with Deepak Dobriyal, Vijay Raaz, Kunaal Roy Kapoor, Sobhita Dhulipala, Akshay Oberoi, Isha Talwar, Shenaz Treasury, Shivam Patil, Amyra Dastur and Neil Bhoopalam.